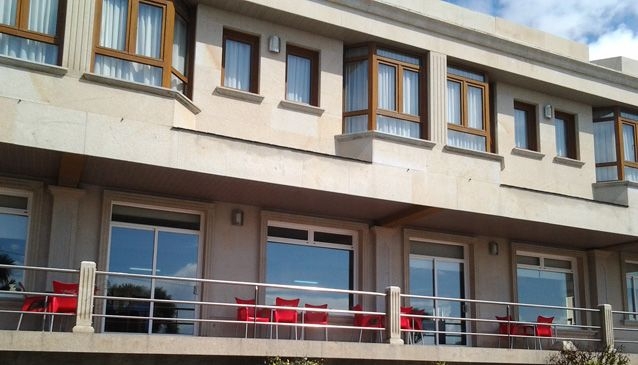 Costs Verde Hotel and Restaurant is situated close to Baiona,25 minutes from Vigo and looking out onto the Atlantic Ocean. It’s a small family-run hotel that has 24 double bedrooms with en-suite bathrooms and a further room with disabled access. A simple and comfortable hotel that makes guests feel right at home. It also has a private car park,a cafeteria and a good quality restaurant that serves traditional cuisine and an excellent daily set price lunch during the week. Childrens Play Area only 50 m away. Baiona Parador and Carabela La Pinta. The restaurant is open from 10.00 - 23.00 every day.